Who doesn't love guacamole? Especially in the summertime. It's one of the most refreshing condiments. You can buy it at the store but it's so much better when it's freshly homemade. Guacamole goes great with homemade corn tortilla chips made with coconut oil, or with tacos or quesadillas. 1. Halve and remove the pit from 1 avocado. Scoop flesh into medium sized bowl and mash lightly with a fork. 2. Peel and finely mince onion — you need about 1 tablespoon — and garlic clove. Add to the bowl. 3. 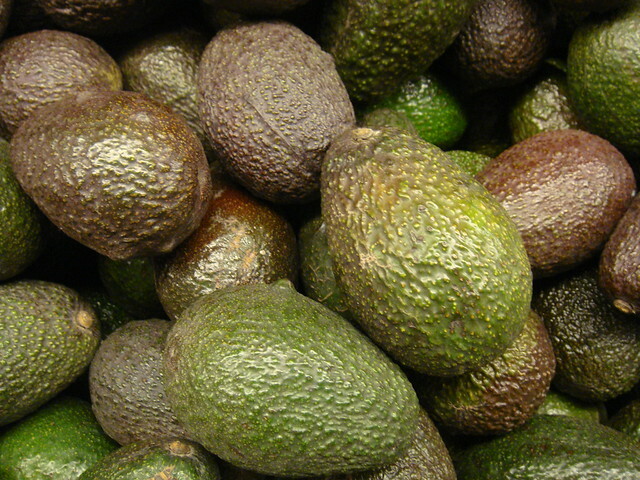 Halve and remove the pits from the last 2 avocados. Remove the flesh and dice. Add to the bowl. 4. Using a fork or lemon reamer, squeeze the juice of the lime over the diced avocado. 5. Mix entire contents of the bowl together lightly with a fork until combined but still chunky. 7. Add more onion, garlic and/or citrus to taste. 8. Guacamole can be made up to a day in advance (cover with plastic wrap and refrigerate; include the pit and it will keep longer). Excellent accompaniment to fermented salsa. It’s sooo good with a splash of the fermented salsa in it :-) Especially since I puree mine up so it’s smooth. What makes it keep longer with the pit in it? I am a purist. I do not like tomatoes or salsa in my guacamole! I also add finely chopped tomatoes, and LOTS more garlic! Usually about 4-5 cloves. You can never have too much garlic. :) And cilantro! Cilantro puts homemade guacamole over the top! Chop it fine for the “paste”. Put the paste in a bowl (preferably a molcajete) and then add in the avocado. Mush it in with a fork while integrating the paste. Stir in tomatoes at the end. Following is my personal favorite. I tend to use much less lime as well. 2-3T. Also they claim that it will serve 5-10 people. I have not found this to be the case. I find it only serves one. One who will snarl like a caged animal at anyone who comes near his guacamole! sprinkle with the salt and chop some more until you have a coarse paste. mixture a few hours before you’re ready to make the finished product. When you’re ready to make the guacamole, peel and pit the avacadoes. or 10 people, takes about 1.5 hours. Ditto – tomatoes and fresh cilantro really make guacamole. And everyone note the salt – forget it, and your dish will taste flat!